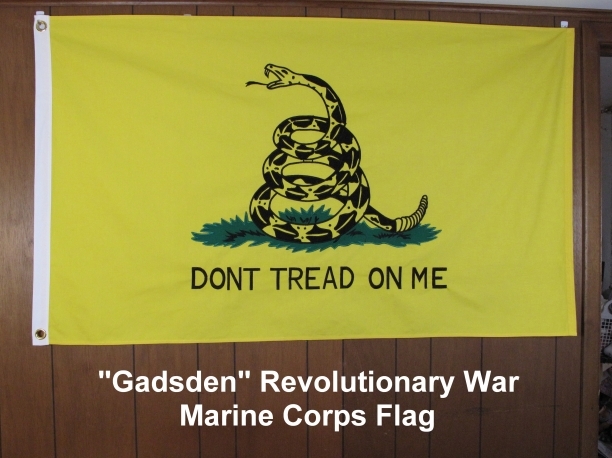 Designed by Colonel Christopher Gadsden for use by the Continental Marine Corps in the American Revolution. 3'X 5' Cotton. Absolutely beautiful flag. Satisfaction guaranteed. 100 % refundable for 10 days upon reciept.